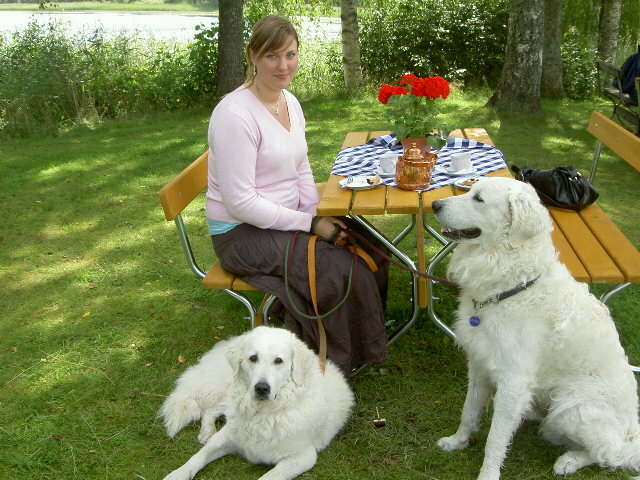 Kennel Ecarpadi is a small kennel that breeds Kuvasz and is run by mother and daughter, Silvana and Ariana Carlén. It has got its base at Silvana's home about 20 km east of Vetlanda, Sweden, where three of the kennel's dogs live. 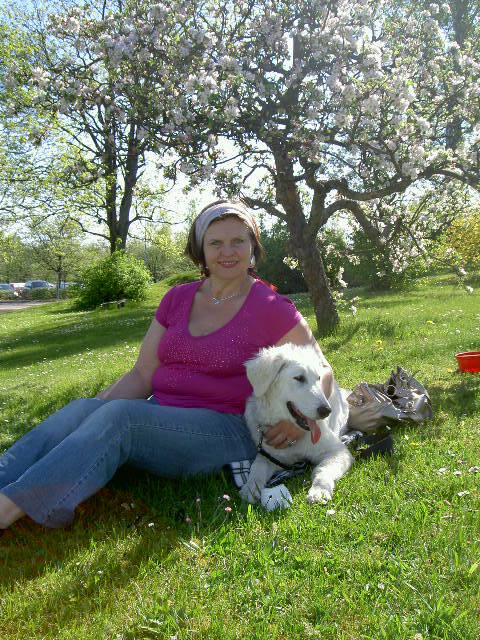 Ariana lives in Svalöv, Sweden, with two dogs. The remainder of the dogs live with fosterers (meaning that we own them and have retained breeding rights). Read more about our dogs here. The kennel has had one litter, the Ecarpdi Égi E-litter, which was born in 2011 although the first Kuvasz came to the family as early as in the year 2000 from Kennel Triprima (a kennel owned by Silvana's late sister). The strength of the kennel is its versatility thanks to our widely differing interests that stretches from bio chemistry via mentality, on to economy and how to run an organisation. 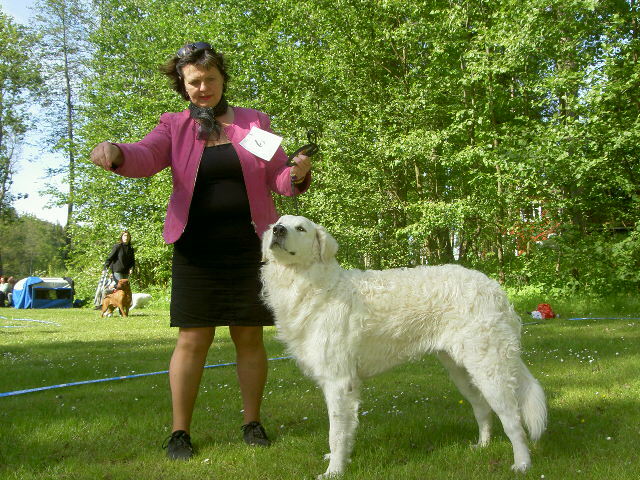 We are active within the Swedish Kuvasz Club, the Swedish Mountain- and Herding Dog Club and in our regional part of the Kennel Club called Småland-Öland Kennel Club. Furthermore, Silvana has accomplished the Swedish Kennel Club's breeder qualification and we are both certified by the Swedish Kennel Club to organize dog shows.